The GPS Marathon promotes a healthy lifestyle through physical activity to sharpen the mind. This marathon is held annually on the last Sundday of September starting from the Gayatri Public School. 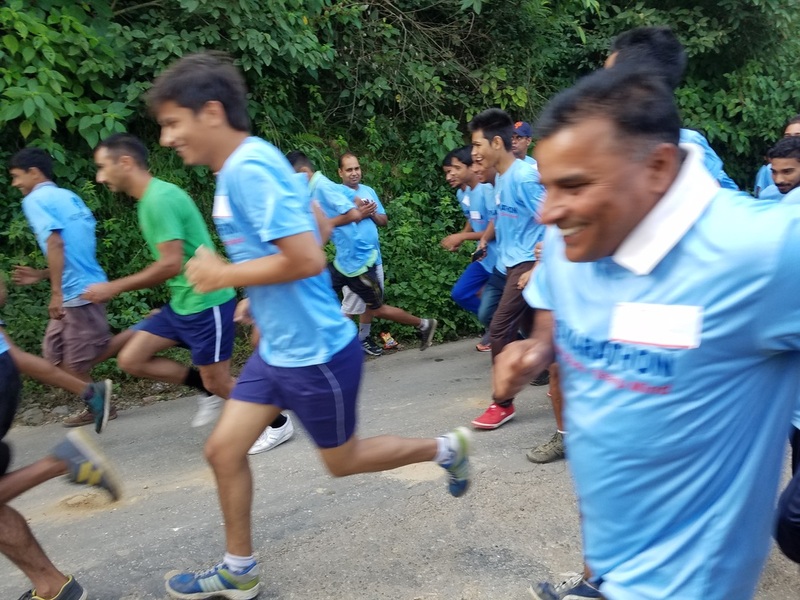 Participants, young and old, can run in a 5K or 8K. GPS students run in a Run for Fun for 2K. 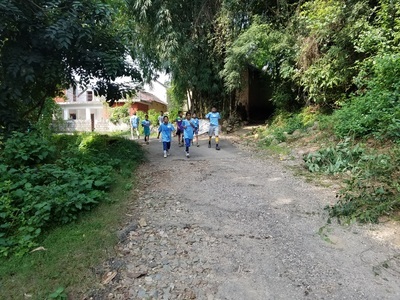 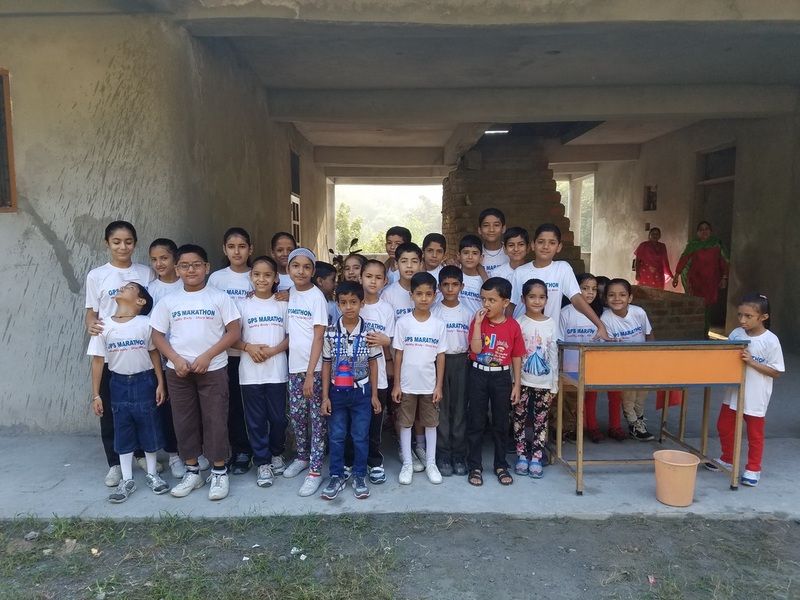 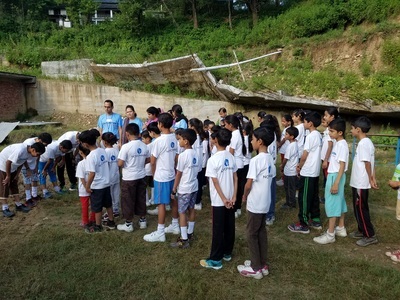 Gayatri Public School students starting off on their run! 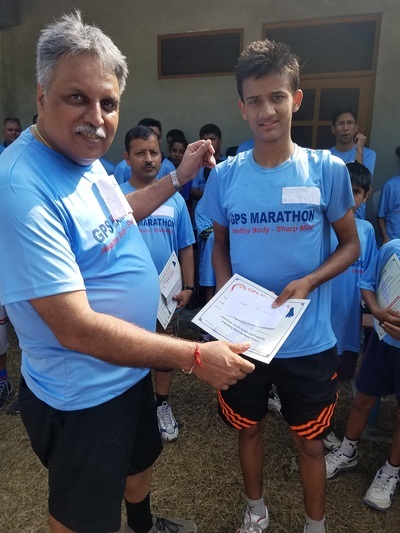 The 2016 GPS Marathon on the 25th of September was a great success! 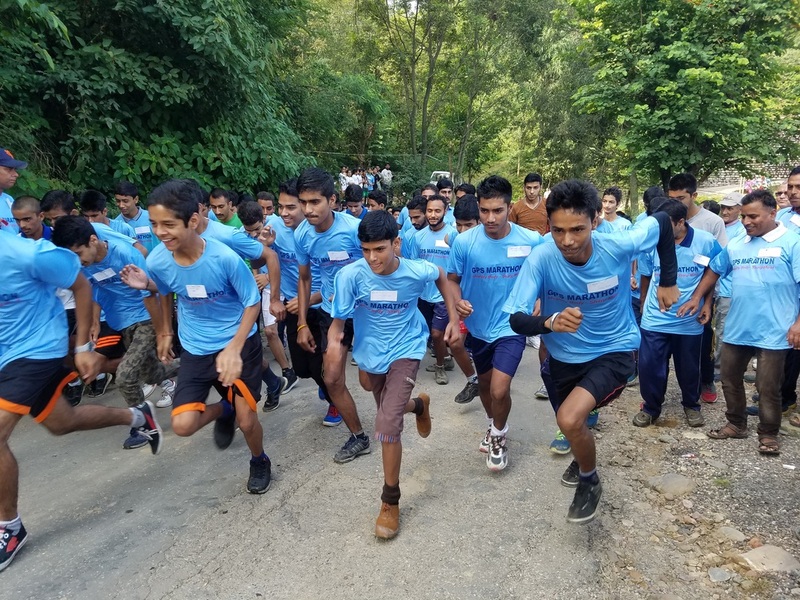 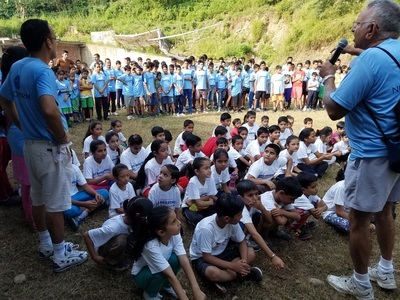 Around 300 participants, including GPS students, students from surrounding communities, senior citizens and more participated in the 2K Run for Fun, 5K race, and 8K race. 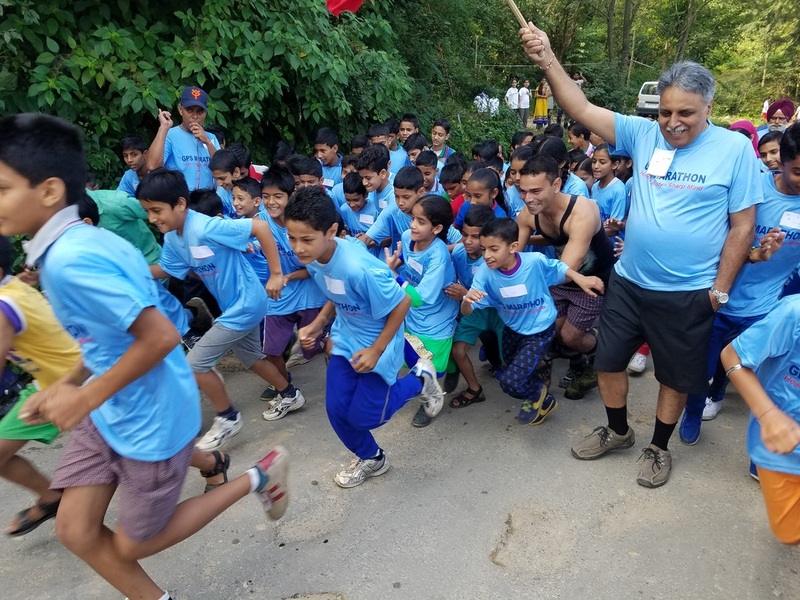 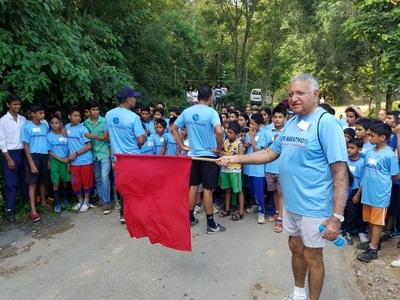 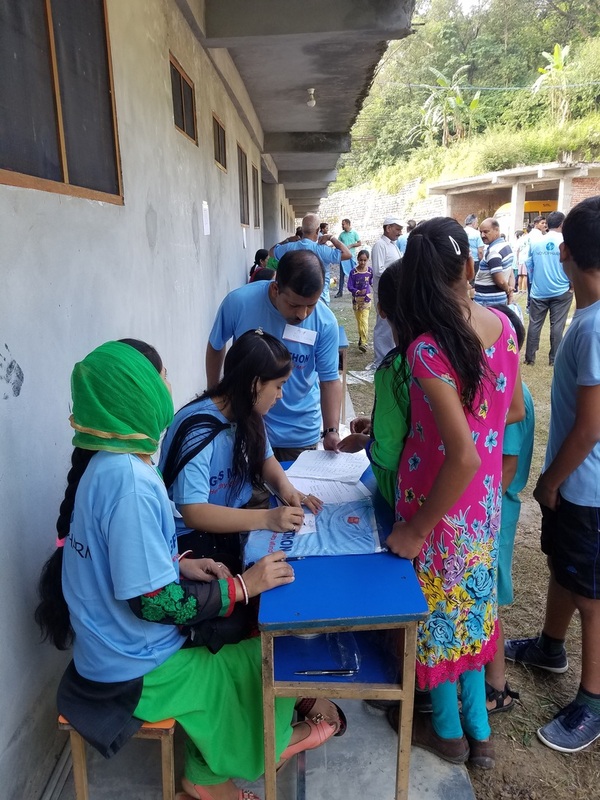 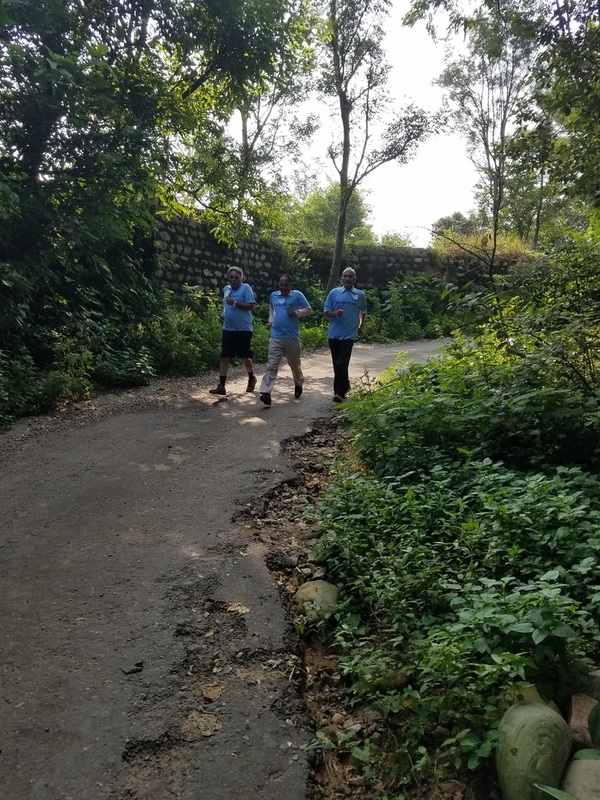 It was a warm morning, but everyone, including senior citizens, was excited to participate in the run through the surrounding villages in their blue GPS marathon t-shirts. 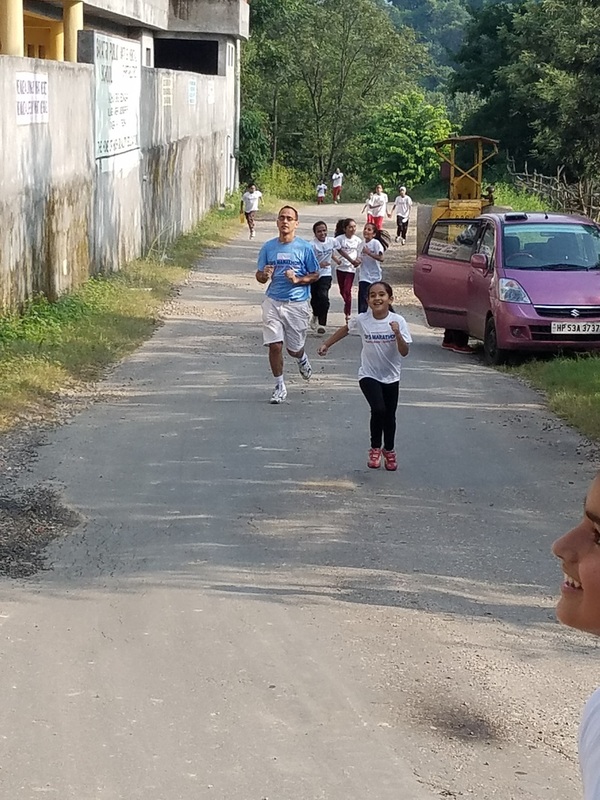 Local communities helped by providing water at specified checkpoints for all runners. We are looking forward to having over 500 participants in 2017! Please register through this website in the contacts page and see you there having fun!